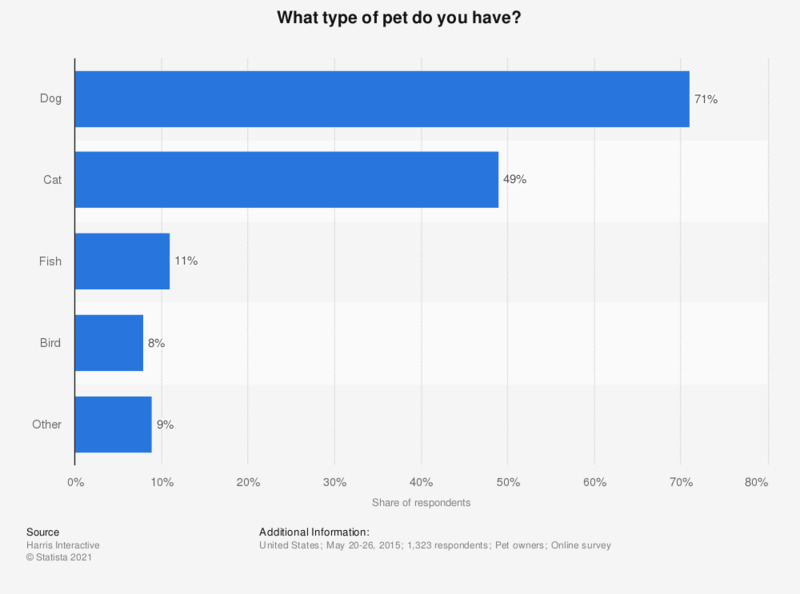 This statistic shows the results of a 2015 survey among American pet owners on the kind of pet they own. During this survey, 71 percent of respondents said they owned a dog. Have you taken into account the size of your house when choosing a pet?